As a food truck owner, it will behoove you to not just rely on daily foot traffic for all your business. Food trucks have become really popular at parties and at other special events so it is a smart idea to be open to booking parties and events for your food truck. In our series, we first looked at selecting your food truck, building it out with all the necessary equipment, and creating your food truck menu. Now we are going to focus on tips for booking parties and booking events for your food truck. Over the years, food trucks have evolved from the simple mom and pop little grey food truck or cart where you could grab a quick hot dog for steak sandwich in between meetings or classes to more sophisticated, branded food trucks that are selling an image as well as food. Make sure that whatever you are offering your customers is unique, something they can’t miss out on, that they will want at their special event. Remember that your fellow food truck owners are a good source of support and guidance because they have been where you are now and can offer you good nuggets of advice. They also have their connections with local festivals and catering places that they can share with you so you can start building your own client list for parties and special events. Food truck festivals can be real moneymakers when you find the right ones that suit your needs the best. Festivals offer their guests not only wonderful culinary creations from different food trucks, but also usually includes live music, kids’ activities and different arts and crafts vendors. It is a great setting to get your name out there to a variety of people. L.A. Street Food Fest. This food fest set in Pasadena, California’s Rose Bowl hosts over 100 vendors including food trucks, carts and stands. With its offering of both local favorites and international cuisines, the L.A. Street Food Fest gets a big turnout every year. They even offer VIP amenities including early admission, private parking and even a tasting lounge. If you are on the West Coast, this is an event you don’t want to miss. Find out more here. Sea Isle City Food Truck Fest. During the summer and early fall, the New Jersey shore is a mecca for visitors who want to enjoy the sunshine and the beach and ocean. That is why the Sea Isle City Food Truck Fest is always such a big hit. Some years this three-day event is held twice. The best food trucks from the tristate area are invited to participate so it is an event you won’t want to miss out on. This festival tries to offer a little bit of everything from waffles to seafood to ethnic specialties. Held at Kix McNutley’s at 63rd and Landis Avenue, this year’s festivities will be held in June and in September. Find out more here. Taste of Three Cities – Baltimore, Washington D.C. and Philadelphia. This event is more of a battle of food trucks from these three cities, Baltimore, Wagton D.C., than just a festival If you win an award or even better the Triple Crown Cup it would be an important feather in your cup and help you gain more loyal followers. The judges of the competition includes some local celebrities and food experts. The Taste of Three Cities visits each city for a competition. There are family activities that the kids will enjoy too. Get information on the Baltimore event here. Food truck weddings have also become really popular and a smart market to get yourself involved. Whether a wedding is a formal or a casual affair, a food truck wedding is a fun way to offer unique cuisine. Some brides and grooms choose to even have several food trucks at their wedding to offer their guests more variety. The tricky thing with booking weddings is that couples usually won’t come directly to you, unless you have a special relationship with them. So your best bet is to connect with local catering halls and wedding planners to be included in their wedding packages. Create a couple of different packages to offer potential customers for special events. It will give them a better idea of what you can offer them and their guests. You need to come up with a price per head and be clear from the beginning what is included in that price. Will you provide tableware (utensils, plates, cups etc.) and will they be plastic or more high end? Will you have staff to clear tables and take care of the trash? Running out of food at a special event, especially a wedding can really hurt the reputation of your food truck. To make sure that doesn’t happen, calculate very carefully how many dishes you will need and how much ingredients you will need to make those dishes. 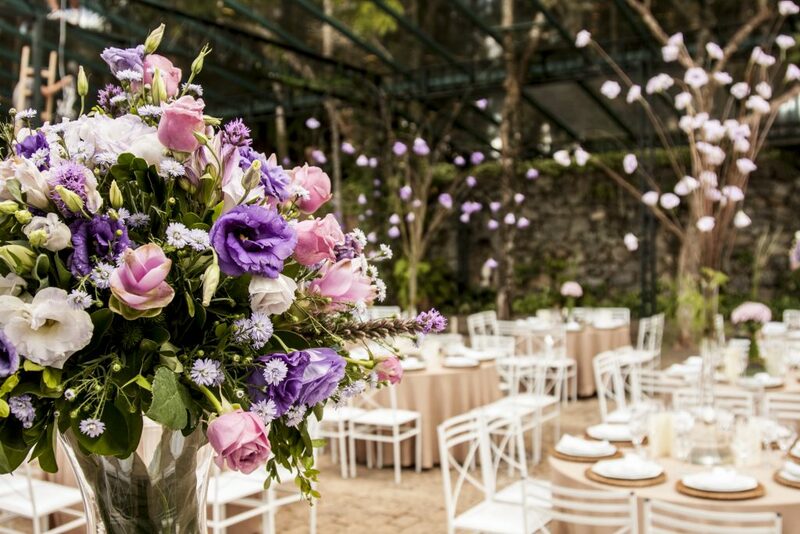 It is a good idea to designate one person, either you or one of your staff, to be in charge of booking special events and weddings. The daily running of your food truck is a handful already so it best to have a person devoted to this aspect so you can build up a healthy clientele list and so that nothing important falls through the cracks. Want to own your food truck, but not sure where to start? Consider owning a Zac’s Burgers food truck. Zac’s Burgers has developed a unique food truck program that helps get their popular dishes out to more people and capitalizes on the large food truck demand. Get more information about this family-friendly burger joint and their food truck business here.